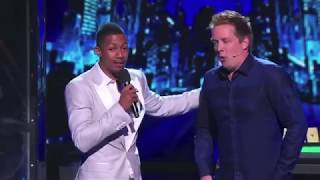 As the winner of NBC’s hit TV show ‘Phenomenon’, Top finalist on‘America’s Got Talent’ and chosen to be on the Season Premier episode of Penn & Teller ‘Fool Us’ – Mike Super is the only magician in history to win a live magic competition on primetime US network television and voted America’s Favorite Mystifier! His appeal to both young and old has made him one of the most sought after mystifiers in the world! He has brought the art of magic back to the people. 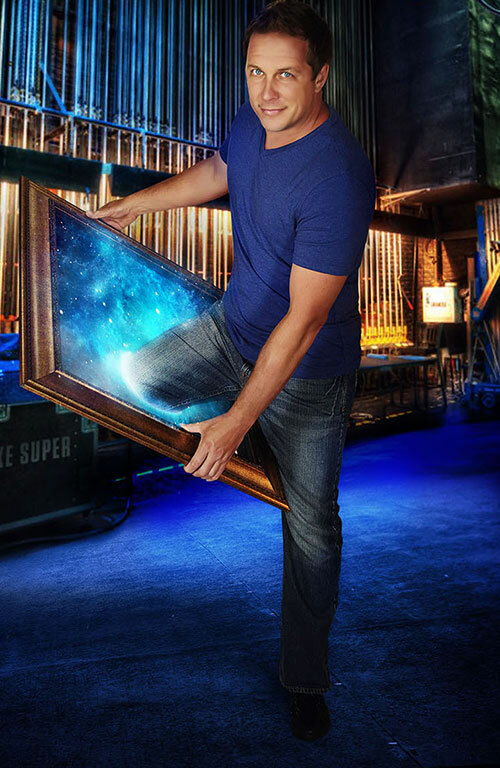 Whether it’s through television, stage or simply one-on-one, Mike Super’s personality and humor reaches out and enchants the public. Mike is called upon by many companies and corporations to work his magic. 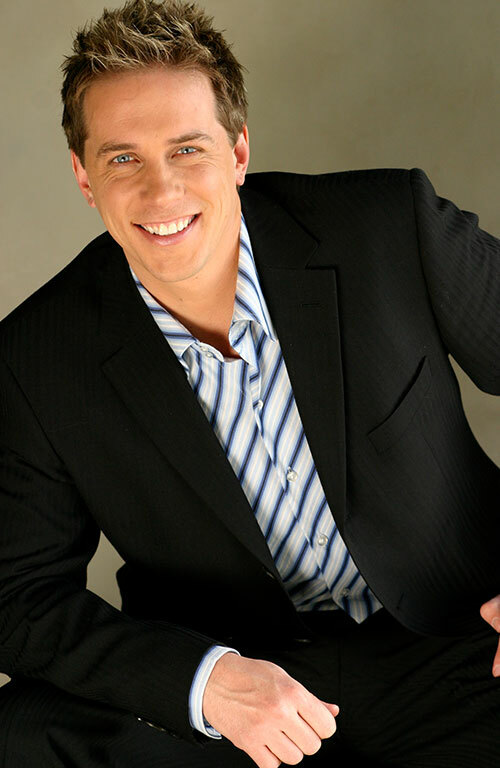 He seamlessly weaves magical moments into corporate programs as a MC, or headlines as an entertainer. Mike also specializes in creating custom scripts that deliver your corporate message in an entertaining and unique way. Mike offers a magical show completely catered to your needs. 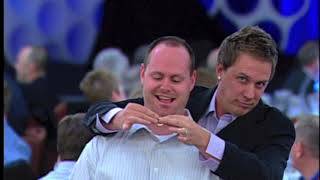 Whether it is a sales meeting, a customer appreciation dinner, a benefit, an awards ceremony, or a convention, Mike Super delivers amazing results every single time. Mike is easy and flexible to work with. Mike performed at the Nokia Theater in Hollywood for PollStar’s 7,000 attendees, and also played host for an award dinner for Robert Half’s 300 top sales leaders held at the Venetian Hotel in Las Vegas. The audience size and event do not matter – large or small, Mike knows how to make the impact that you need. Recently HP (Hewlett-Packard) needed Mike to not only entertain their top executives, but needed all the magic he did to fit their themed message, “Hitting New Heights!” Mike created a custom illusion and levitated Dreamworks CEO Jeffrey Katzenberg, who’s company happens to use HP computers to render all of their studio’s animation, five feet in mid air, while comedically weaving HP’s message into the magic. It looked absolutely impossible! Jaws dropped, (including Mr. Katzenberg’s) but more importantly, the HP message was delivered to the group in a magical and memorable way! Mike was named “The Performing Arts Entertainer Of The Year” for two consecutive years! Mike was honored by the International Magician’s Society where he was presented with the prestigious Performing Arts Entertainer of the Year award, in front of an enthusiastic 1600+ people crowd! It was a great evening, and this marked Mike officially winning the award back to back! A rare and impressive feat considering this The Merlin Award is bestowed only to those who have achieved the highest level in their craft both nationally and internationally. The criteria that the IMS voting members consider are talent, showmanship, originality, skills, and above all the rare ability to entertain. The Merlin Award is considered to be the Oscars of Magic. Mike shares this award with the likes of David Copperfield, Penn & Teller, Criss Angel & Siegfried and Roy. 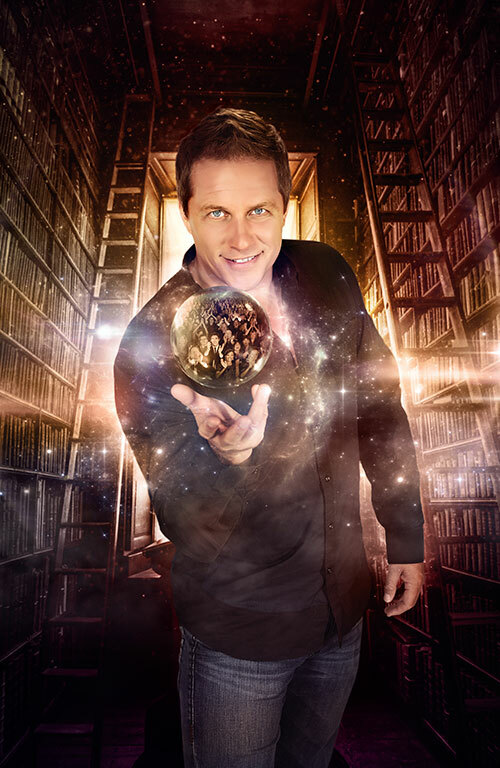 Mike’s other honors include being named Performing Arts Entertainer of the Year, Best Performing Artist of the Year, Best Male Performer and Best Novelty Live Performer. His many television appearances include being named the winner of NBC’s television show Phenomenon, numerous appearances on the French television show LA SOIREE DE L’ETRANGE, one of the presenters and artists to appear at the nationally acclaimed Pollstar awards held at the prestigious Nokia Theater and recently appearing on The Ellen DeGeneres Show.